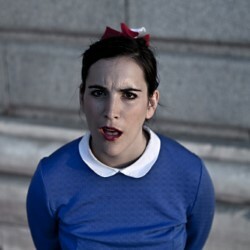 Award-winning Spanish clown-diva show inspired by a life crisis and the really big questions. Chaotic, funny and at moments heart-breakingly sad. ‘A physical comedy talent’ (Chortle.co.uk). Best Female Act at London International Solo Festival. ‘Mesmerising silliness’ (Fest).